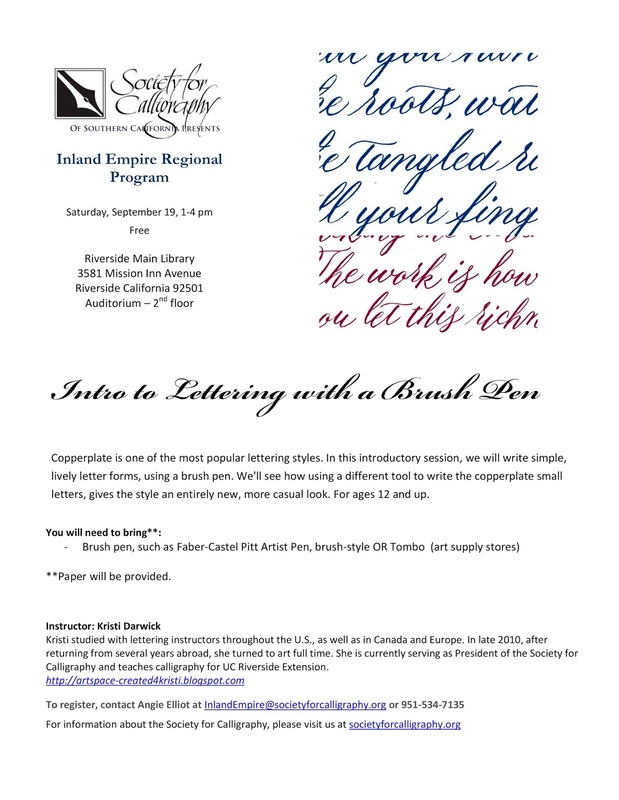 The Society for Calligraphy serves sprawling southern California. To that aim, we have re-started the Inland Empire Regional Group. 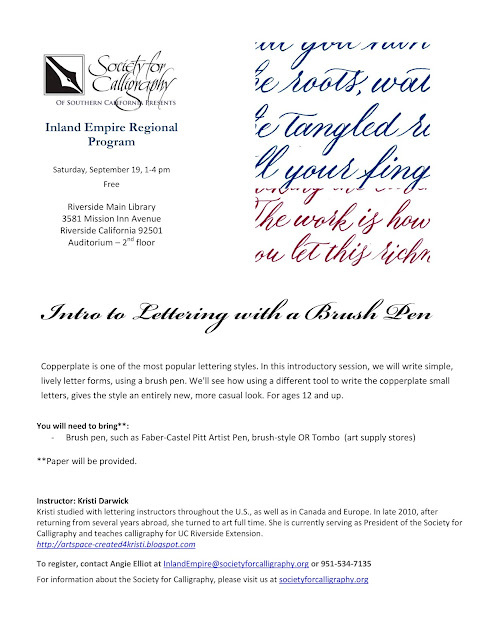 This is our second program and our aim is to introduce a variety of calligraphy styles, tools, and techniques, as well as complement the classes available through UC Riverside extension. I have so many projects that I haven't posted here--I'l try to catch up a little at a time. Life's been busier than ever. 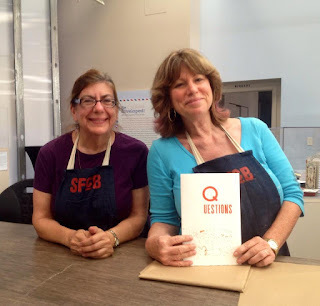 In late July, Marjorie and I had the last-minute opportunity to participate in a letterpress workshop at the San Francisco Center for the Book. Since our friend, Debbie, had the car, we walked miles each way to attend. I had blisters on my toes, after all those inclines, but it was well worth it. Now, I'm much more familiar with the process. There were six in the class and each of us was assigned to design and print two pages. Theresa, vacationing from northern England, and I, designed the title and half-title pages, which aren't visible in the photo of Marjorie and I. I think Marjorie was on the team for the colophon and maybe for the cover. Mary Laird was the enthusiastic instructor. We would highly recommend a class with her. Marjorie, Debbie, and I would like to arrange a trip with all three of us taking another L.P. class. This was just one of several heavenly activities over a 15-day road trip. I'll post more soon!